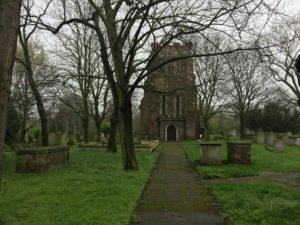 Calling St Mary Magdalene Church the jewel in Newham’s crown is a massive understatement. It is the sparkling diamond in our manor. It’s hard to think of anything that predates it that is in such a great condition, writes Colin Grainger. 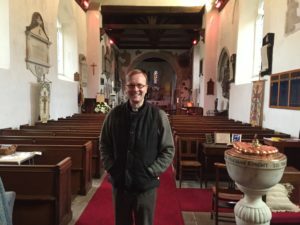 The 1130 church is getting a well-deserved makeover next month (Sept) with over £80,000 being spent on it by Church England. But before that they will be repairing the damage created by mystery ‘invaders’ that has taken two years to resolve. And it’s a problem that has been driving them nuts! Vicar of St Mary’s and local councillor the Rev Quintin Peppiat explains. There was even a suggestion that it was wind (from outside of course!). “Then holes began to appear in the roof. 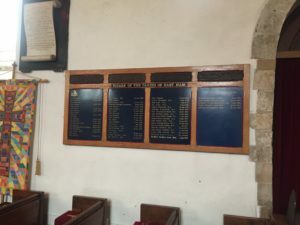 And it was eventually found the reason behind holes in the plasterboard fittings and ceilings in the main church was…naughty squirrels!” he added. Incredibly investigators even managed to capture a picture of one of the fiddlers both on the roof and inside the roof spaces, reprinted here today. Exclusive: One of the naughty squirrels on the roof! After they squirrels were persuaded back outside and jumped back onto the tree they had used to mount their ‘invasion’ a simple bit of tree trimming managed to finally halt the return visits. Now it’s all systems go for the facelift. The listed building has one of the best preserved Norman archways in the country and the largest churchyard in Britain. Walking around the site is like being taken back in time. 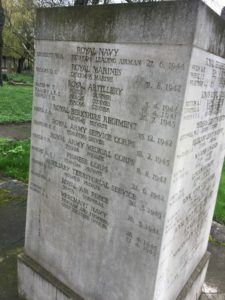 There is the moving memorial, just inside the gates in High Street South to those local people who gave their lives for their country in two World Wars. On the left as you near the church front is the ashes area, laid out in memory to a famous servant of the church and now a place where local people can lay ashes of their loved ones, and also have a plaque placed with personal details. Very few burials are now made at the church, The Rev Peppiat explained. 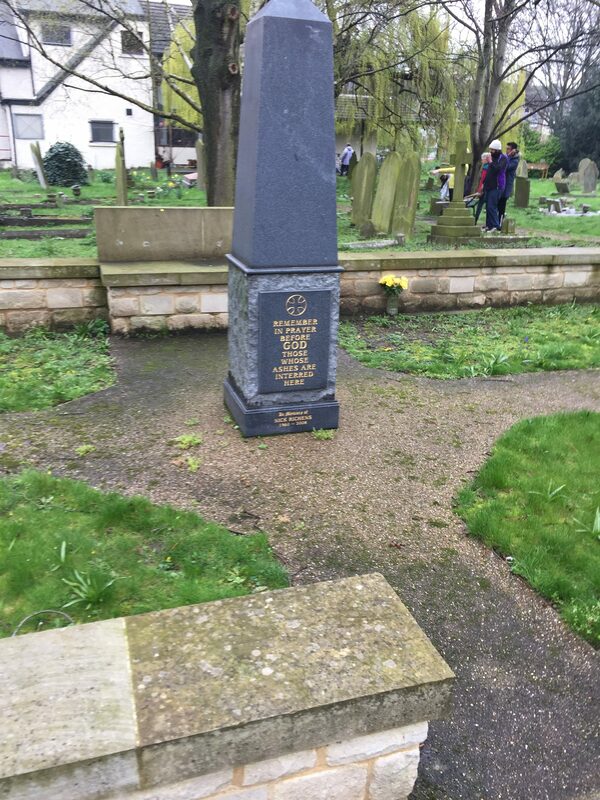 There has to be enough room in the top of graves already in situ for that to hallen. 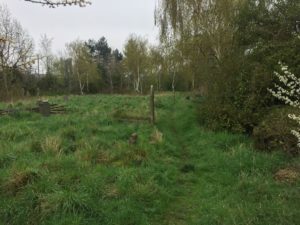 Though literally thousands of people are buried here and some of the graves date back to the 13th century, it has been full since the 1970. 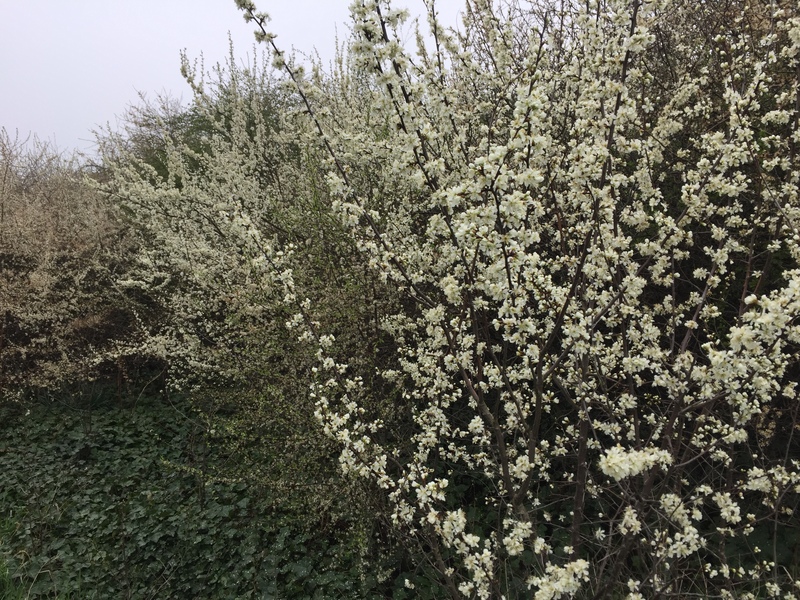 By coincidence a former colleague of mine at the Newham Recorder in the 1980s is making his own pilgrimage from his home on the other side of the world to place his mother’s ashes in the spot. 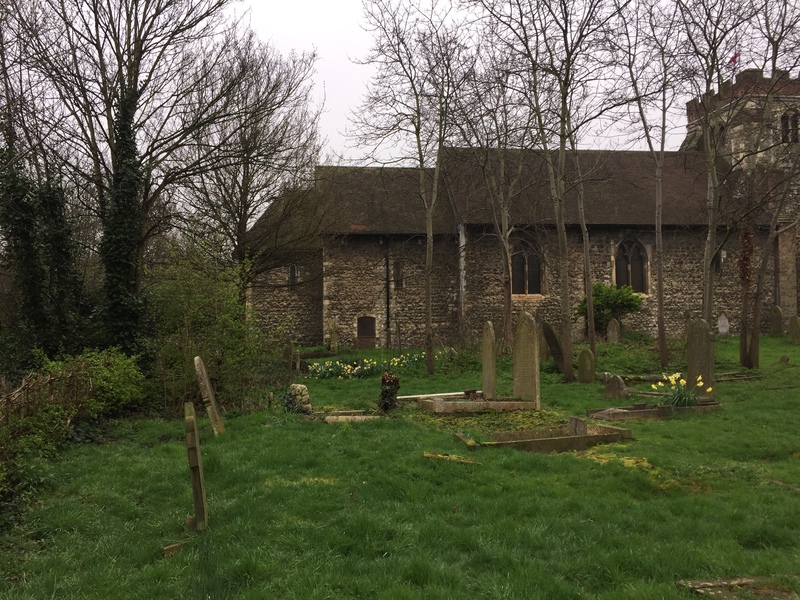 Tom Wiles said: “I am travelling from Australia to return my mum’s ashes home to England to be with her mum (my grand-mother Alice) who rests at St Mary Magdalene. It is truly one of the very special places in Newham, yet like so many things in life we pass it by without a thought. The church has a place in the hearts of so many generations. It has wonderful memories for me. I got married there in 1976 to my schoolchild sweetheart Lesley. When we when to apply for the marriage, the then Parish head the Rev Stephen Lowe, now Bishop Holme, asked us where we had been baptised or confirmed. We hadn’t – and so we started the process and were christened around six months before our wedding. 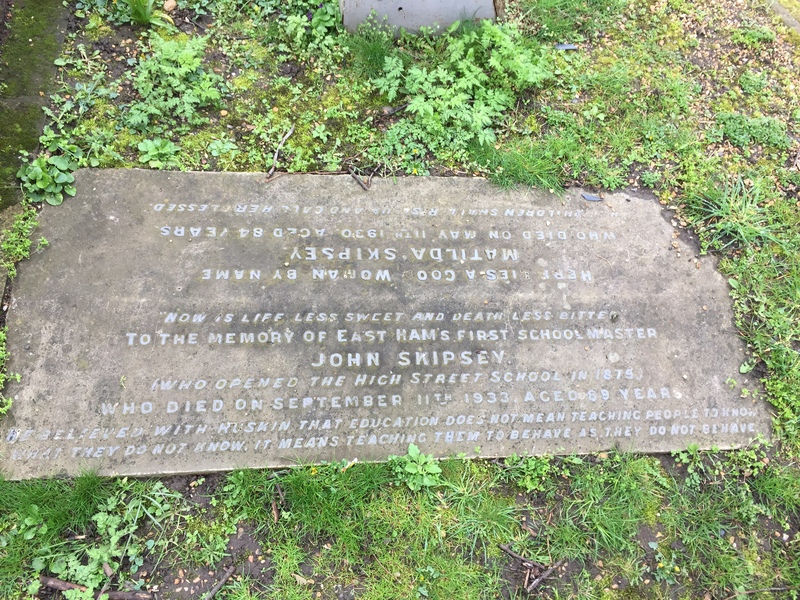 Among the graves at the church is one from 1933, making the death of “East Ham’s first school master” John Skipsey. He opened the High Street School in 1875. It bears the legend “He believed that education does not mean teaching people to know what they do not know. It means teaching them to behave as they do not behave.”. A road nearby is named in honour of Mr Skipsey. 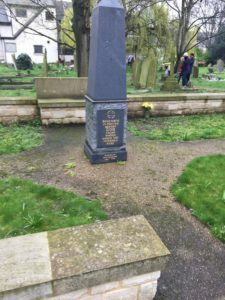 To the left of this is the grave which attracts many visitors to St Mary’s, as it honours two of those who perished in the Titantic disaster of April 1912. 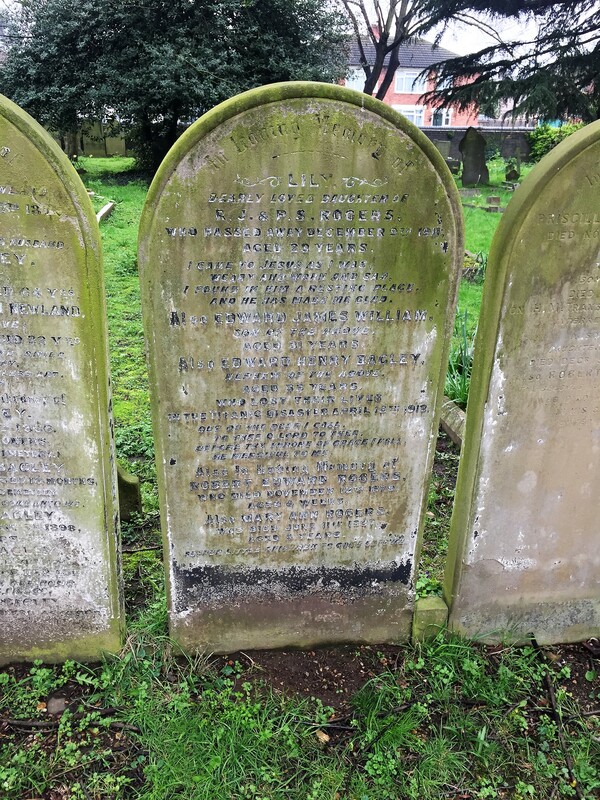 The grave bears the names of Edward James William Rogers, 31, a storekeeper on the Titanic and his cousin Edward Henry Bagley, 33, a First Class Steward on on the vessel. 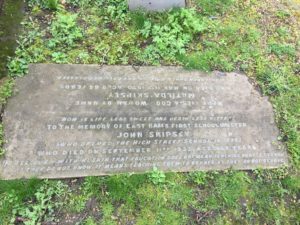 Both men were born in the East Ham area, and were living in Woolwich when they perished. Rogers was buried in Canada, whereas Bagley’s body, if recovered, was never formally identified. 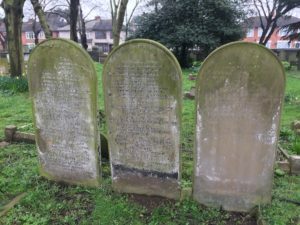 The grave is part of a family plot and it is believed their auntie honoured them with the headstone, shortly before she passed away. The church is Grade 1 listed and was originally was made up of a semi-circular Apse, a sanctuary, a Chancel and Nave, a design derived from the old Roman Basilica.In 1230 a tower was added to the west end, along with a priest’s door inserted into the south wall of the Sanctuary and close to it a double Piscina. The upper part of the tower was rebuilt and the south porch added in about 1500. The three light window was inserted in the south wall of the Chancel between 1600 and 1630 and the Nevill and Braeme monuments erected. 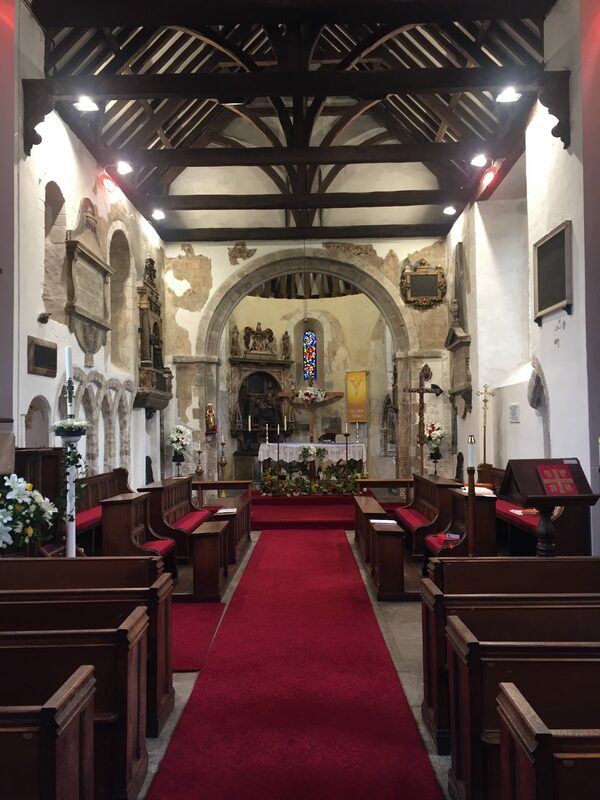 In 1840, four large windows in the decorated style were inserted into the Nave and the west porch erected. This was said to have been used by priests or monks in the 13th and 14th centuries. In 1931 the church was overhauled and restored and the ceilings in the Apse and Sanctuary were removed and the roof loft staircase opened up. The main body of the church is constructed using rubble walling. Materials incude Kentish Ragtone, flints and chalk from North Downs, Caen Stone from Normandy, pieces of Roman tile and Purbeck Stones. The tower is built almost entirely of Pudding Stone from Norfolk. More restoration work took place after it was damaged in World War Two. 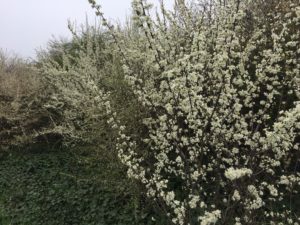 At its furthest point away from the main church building on the site, the nature reserve affords a great view of the flyover crossing the A13 Newham Way.In spite of this, It really is remarkable and so peaceful. 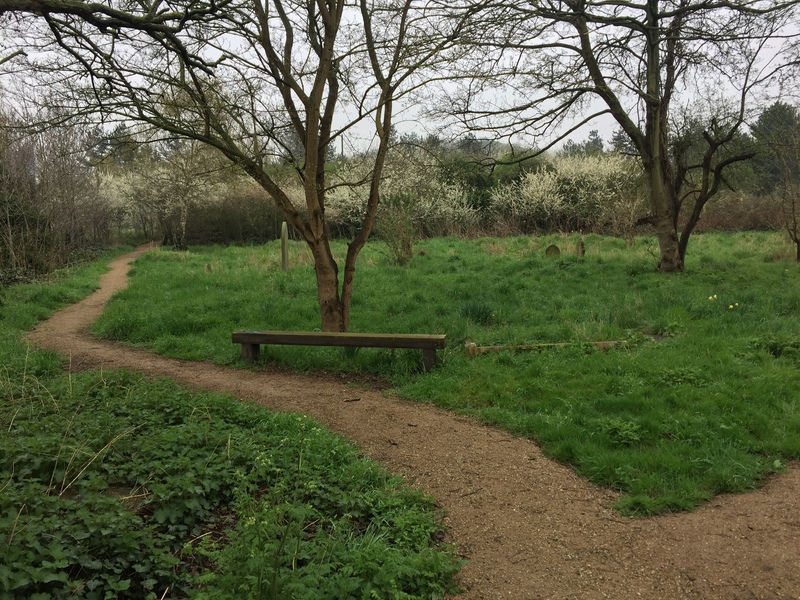 The mediaeval church reserve is populated not only by squirrels, but foxes, pheasants, bats and butterflies. Framed in hawthorn and sycamore it looks like a 19th century painting. Turn your back on the roads and you can easily be taken back in time. The site is said to be the largest churchyard in Britain. 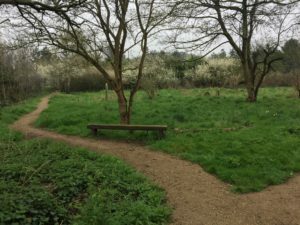 The Nature Reserve was created in 1977 and managed as such. 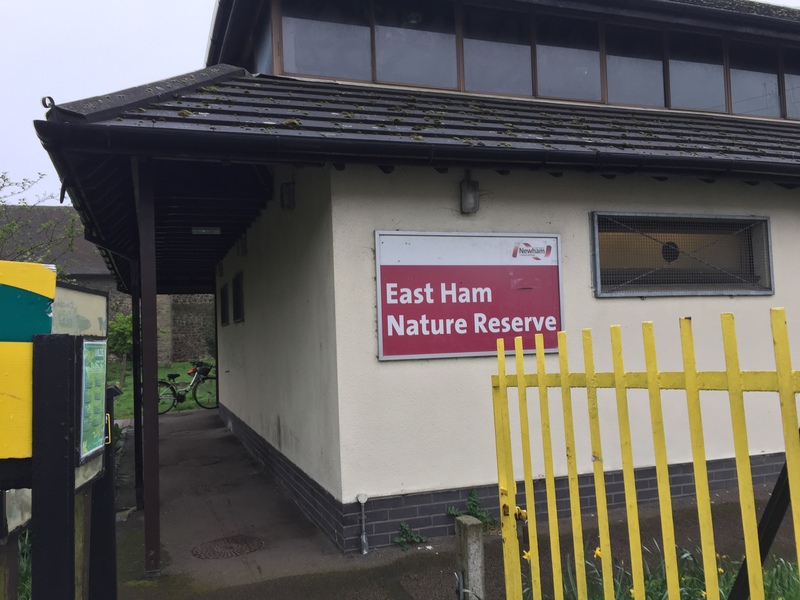 A 125-year lease started – though the 5p a year rent has never been collected by Newham Council. The interpretative centre was built in the church grounds in 1982 with a grant of £200,000 from Central Government funds and opened by The Queen in 1983. The area is kept tidy for the benefit of worshippers, wedding guests and everyone. When I visited, a volunteer team were carrying out their weekly clean, chopping back bushes and hedges and much more. There are nature trails to explore in the churchyard and displays in the visitor centre. 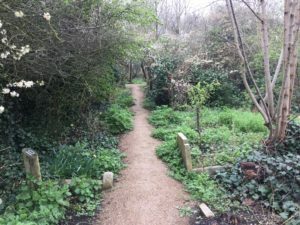 The trails are created so they can be used by wheelchairs and pushchairs. There are two trails, short and long, which take 30 minutes and an hour. 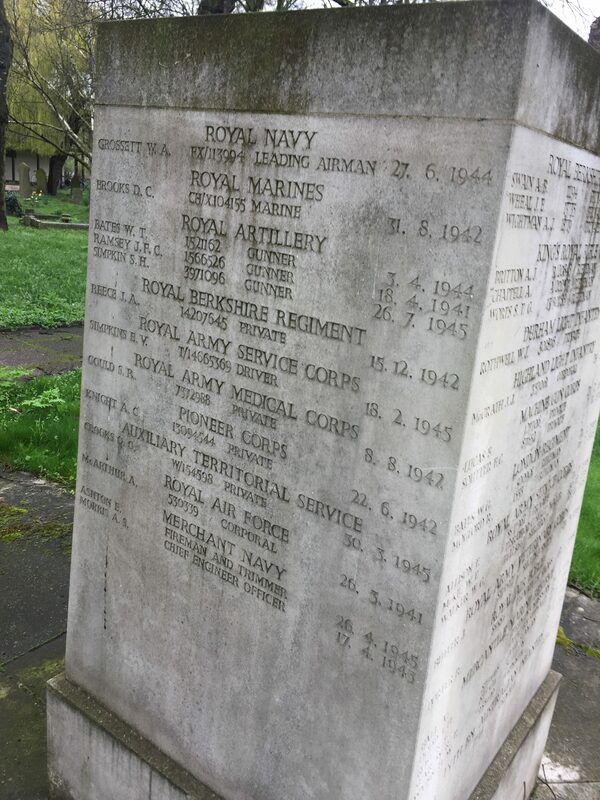 There are important monuments to locals who gave their lives in both world wars. 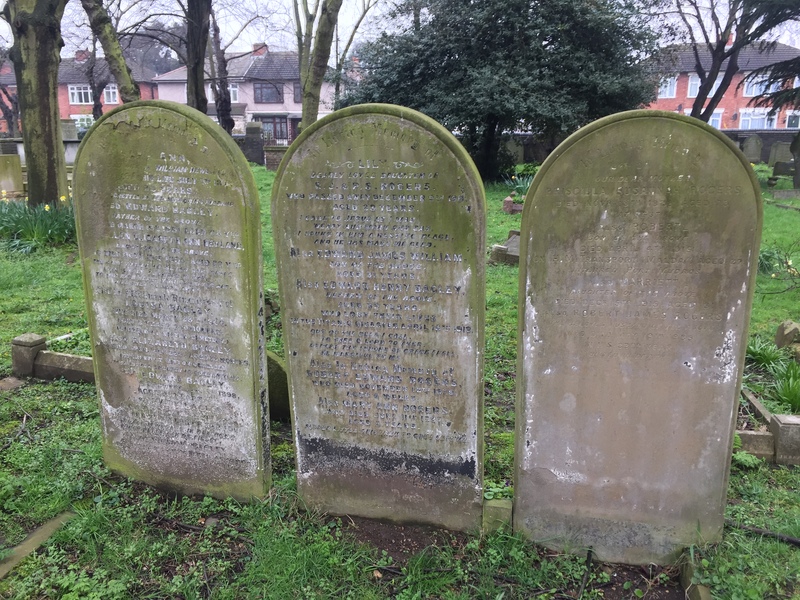 You are also reminded that in 1850, the principal farmer in East Ham of the time, wrote about East Ham being famous for three things – bodysnatching, smuggling and prizefighting. 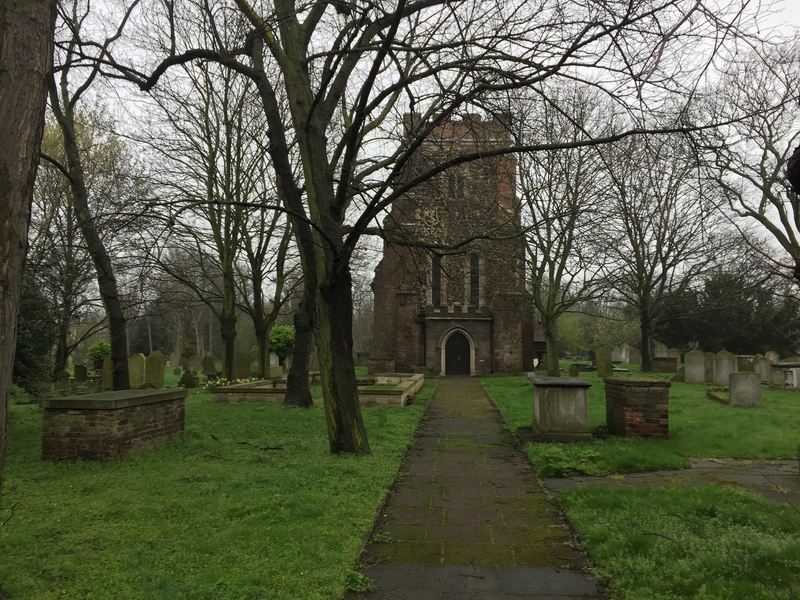 There is are accounts of this in the church history books, and it is recorded that the churchyard was often used to hide smuggled goods, especially tobacco and spirits, which had been off loaded from boats on the Thames or Barking Creek. 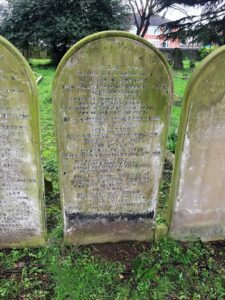 Doctor William Stukeley was a friend of the vicar of St Mary’s in the 18th century. He was a friend of Sir Isaac Newton, and wrote his biography, and was one of two people present at Newton’s death. He wrote over 20 books and also worked as an astronomer. He later changed his career and became a vicar in Lincolnshire. 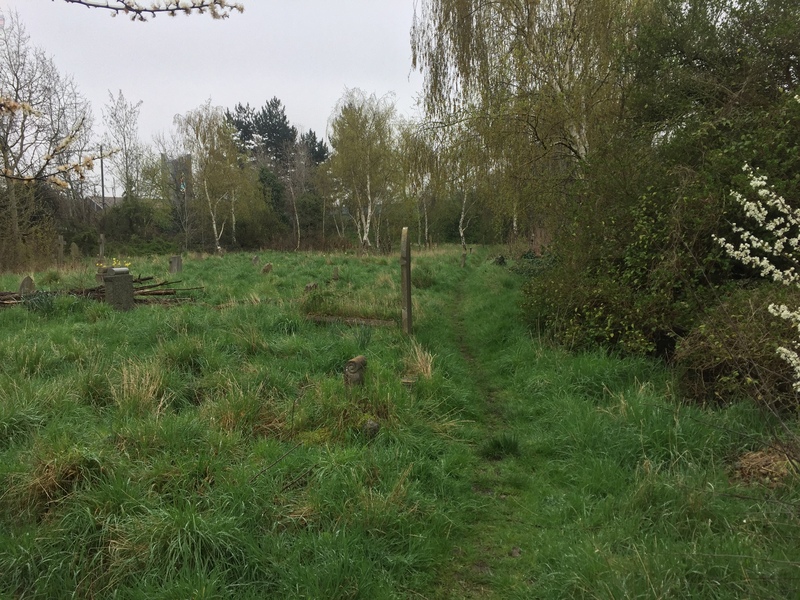 He got his lifelong wish to be buried in an unmarked grave at St Mary’s. Interestingly, before the Reformation, St Mary’s was a Catholic Church, maintained by Cistercian Monks from the Abbey at Stratford Langthorne. 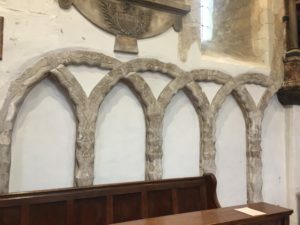 Though they were an austere order they painted some unique murals on the arch between the choir and the sanctuary on the chancel walls. But the artwork was covered up during the Reformation. “Now with grants from English heritage, the lime wash used to preserve them is being very carefully scraped away to reveal these important paintings where possible,” said The Rev Peppiat. “We look back at old records and hear about the sizes of the congregation being large. What is pleasing is that we regularly get those numbers now,” he said. 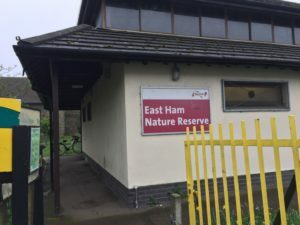 The church and nature reserve is being used by school parties and there is another renovation, costing tens of thousands of pounds, planned to start this month . The double Piscina has one for washing the priest’s hands and another for cleaning the sacred vessels – the chalice and paten. There are also many fine monuments, two dating from Jacobean times, the early 1600s. The Nevill monument is located behind the Altar. They were originally the wealthy and influential Barons Rabey and lived in Rabey Castle near Durham.. The Breame Monument is in the North Wall of the Chancel and is dedicated to Giles Breame and his wife. 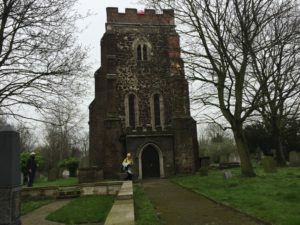 Giles’ father Arthur inherited the manor of East Ham and the ‘advowson’ of the church. That meant he was the patron with the right of benefice – the right to nominate the vicar or rector. Giles inherited this and left money in his will to build almhouses in East Ham. 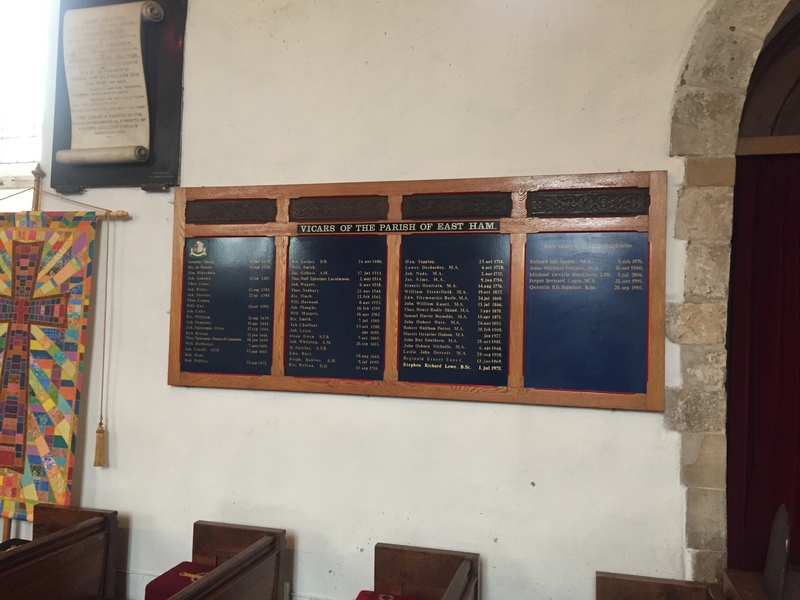 The Streatfeild (correct spelling) Tablet is located above the pulpit. 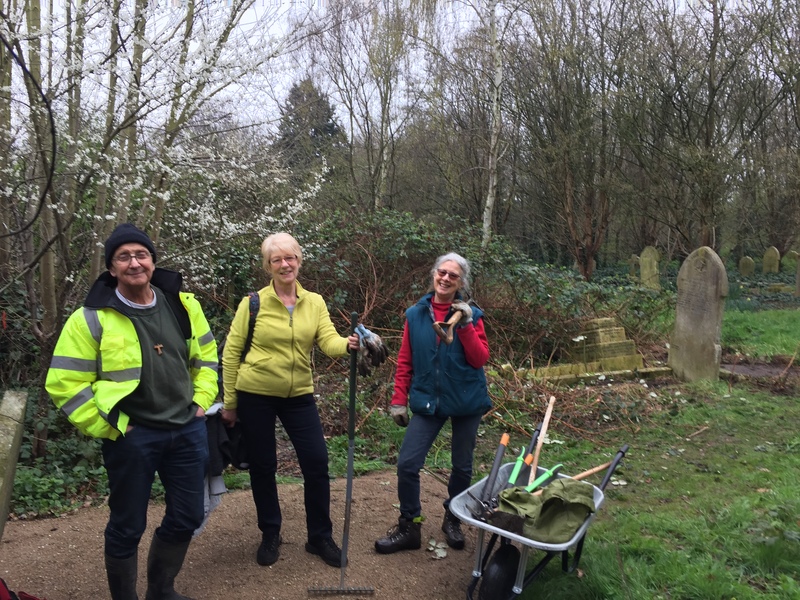 It is dedicated to the Rev William Streatfeild, who was vicar of East Ham for over 30 years and lived in the original vicarage in Vicarage Lane. 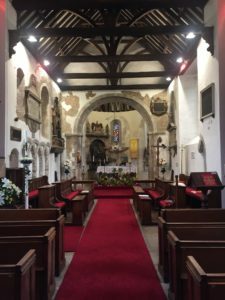 He was amazed at the poverty when he arrived and set up penny clubs and other initiatives to make life easier for his parishioners. 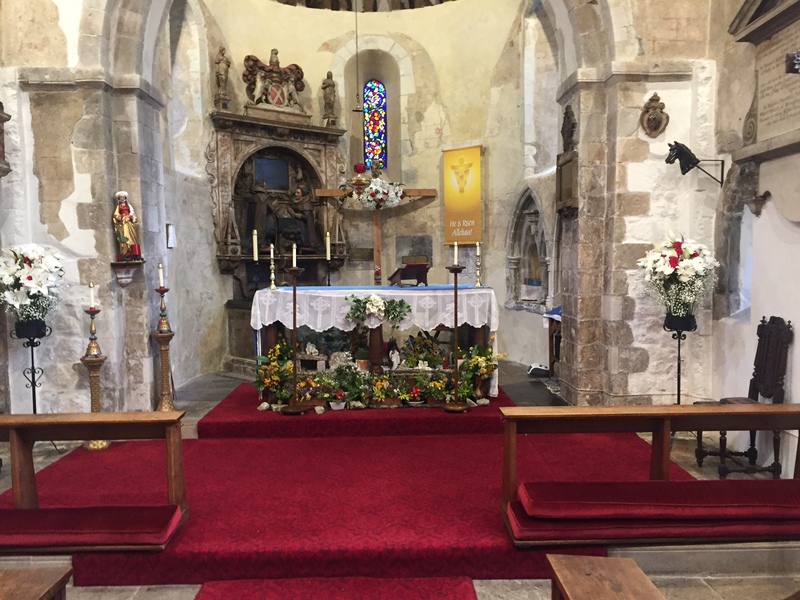 The Font, from 1639, and Organ, from 1830 are other symbols of the church’s history and I think we would need five issues to tell the full story. New visitors to St Mary’s are simply stunned at the beauty and history of the place. 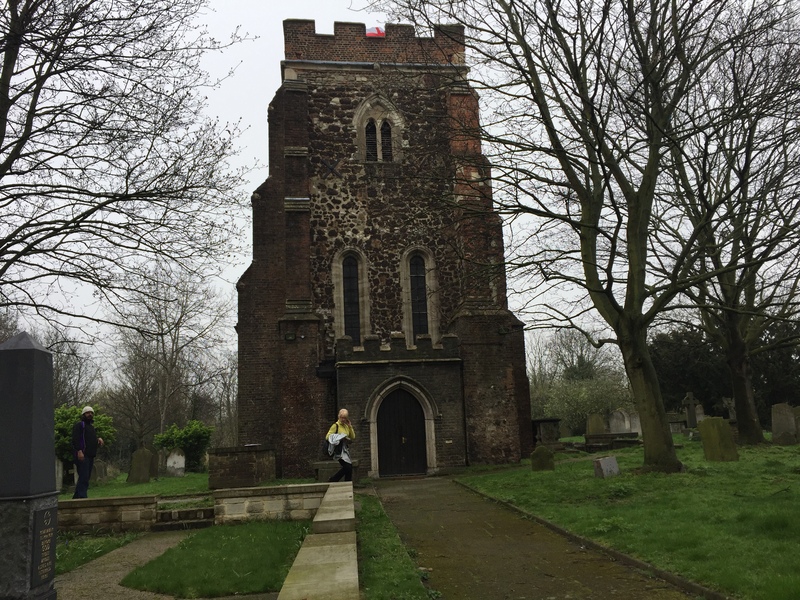 Journalist Marieta Evans and lecturer husband Gareth, who live in North Woolwich, were there for the first time a few months ago for a late night service. Exactly. A simple magnificent place.